Discard the past definition of Dentist (one who is skilled in and licensed to practice the prevention, diagnosis, and treatment of diseases, injuries, and malformations of the teeth, jaws and mouth and who makes and inserts false teeth) and embrace the new reality, a Dentist is a skilled and licensed professional that diagnoses diseases, injuries and malformations of the oral cavity and its components and through modern technology and procedures restores it to a healthy, functional and esthetic part of the human body. Also, possesses the skills necessary to provide care for his/her patients responsibly, ethically, efficiently with care not only for the physical but the emotional aspect of dental care delivery. Drs. 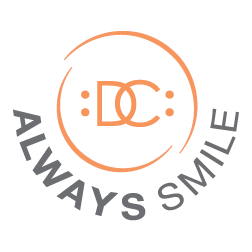 Bouchebel & Lievano believe to care for a patient in today’s world it is not only the skill and knowledge of the dentist but just as important is the skill, knowledge and attitude of their staff. This is why we are proud to say we have excellent clinical and administrative team members that are here to ensure all aspects of your visit are handled with care and professionalism. Our philosophy is rooted on the premise that we treat a human being, not a mouth, a tooth or the gums, we are committed to listening to your concerns, your past dental and medical history and provide individualized care for each of our patients. Last but not least, a word of thanks to all our patients who through years of trust have allowed us to be a part of their health care and who continuously refer their family members, friends and coworkers. There is not better compliment than that!!!!! Here's what some of our patients have to say.